Please join us to celebrate and raise funds for the kick-off of the 2018 Women Build Week! What is Hammers & Heels? Hammers & Heels is an event that celebrates and raises funds for the kick-off of the 2018 Women Build! When and where is the Hammers & Heels event? How much are tickets and how can I purchase one? Tickets to Hammers & Heels are $25 and can be purchased by visitng our Habitat office, at the event or online through our donation page. If donating online, please write “Hammers & Heels” in the private message section. Women Build brings women from all walks of life together to learn construction skills and then use those skills to help build affordable homes in Kalamazoo County. 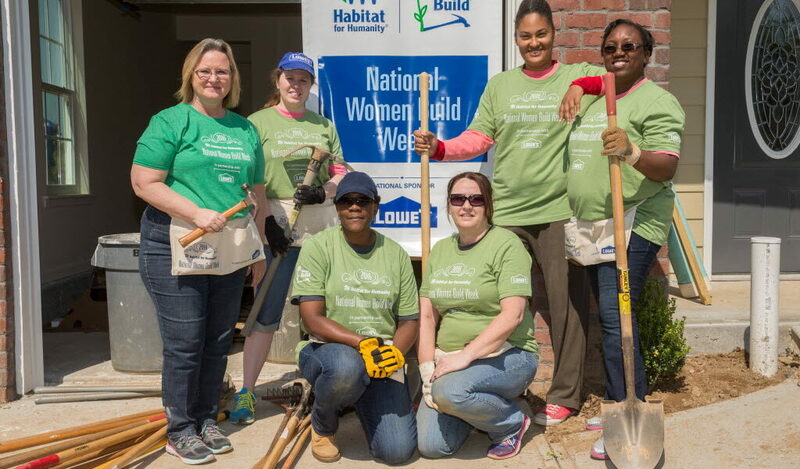 How can I support Women Build? Bring in a group for a sponsored day. Host a small fundraiser at your home or business.